At Engineered Components, we pride ourselves on offering the industry’s largest catalog of fastener products. Whether you’re looking for trailer hardware, tire air valves, stainless steel forgings, T-nuts, rear door hardware, or any of thousands of other products, we’re confident that we have the products that you need. More importantly, we are steadfastly committed to upholding the highest standards of quality available. Striving to provide our clients with access to a large stock of high-quality parts, we supplement our products with comprehensive in-plant material management and vendor managed inventory services. Because of this, we not only provide the products that you need, we alleviate the burden of tracking, maintaining, and sourcing your plant’s inventory. With over thirty years of experience serving a range of industries, we have a proven track record of providing our customers with the fastener products and solutions that they need. To facilitate this, we employ the absolute best staff in the industry. Knowledgeable about all of our products’ technical and application information, our staff is committed to providing an unparalleled level of service and, beyond that, they are encouraged work closely with every customer to understand – and address – their specific needs. Striving to create both partnerships and fasteners that are built to last, the team at Engineered Components works tirelessly to meet – and exceed – our customers’ expectations. 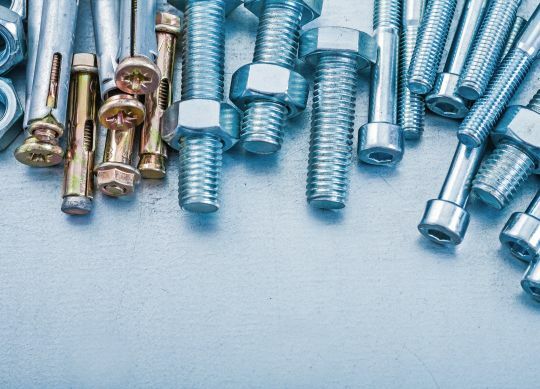 Whether you are looking for tamper resistant nuts, corrosion-resistant fasteners, custom nuts and bolts, or any other fastener products, we are confident that we can locate and source the products that you need. More importantly, we’re certain that we can provide them in a reliable, consistent, and cost-effective way. So, if you’ve been looking for a new supplier for your operation’s fastener products, reach out to us today to discuss how we can help.